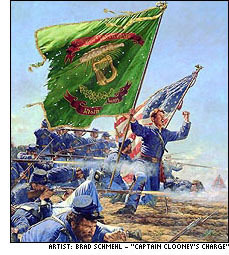 Established in 1987, Longstreet House is the publisher of Civil War histories with specific expertise in the areas of New Jersey, New York and Pennsylvania. Dedicated to historical scholarship, Longstreet House books have been used for reference and academic study at numerous high schools, colleges and universities. Longstreet House proprietor Douglas Mariboe, is a graduate of the University of Vermont and longtime instructor of history at the renowned Peddie School. Longstreet's editor David G. Martin, received his Ph.D. from Princeton University. His knowledge of the Civil War has made him one of the leading experts and authors in his field. Swindlers, Pimps and Vagabonds: New Jersey’s Civil War Bounty Jumpers. By Jonathan D. Kinney. This is the first in depth study of the significant problem of bounty jumping in New Jersey, and how it led to higher desertions and lower morale among the troops. 36 pages, 5 recruiting posters. Softbound. Published spring 2016. ISBN 978-0-944413-82-1. $12.00 plus $2.00 postage. By Joseph G. Bilby. An updated and expanded edition of the author’s ground breaking study Forgotten Warriors, published in 1994 and out of print for several years. Now includes names and burial information of over 10,000 African-American troops buried in the state. This study covers the scope of the state’s history from colonial times to the present, focusing on the Civil War era. 62 pages, hardbound. Published spring 2011. ISBN 0-944413-77-7. $20.00 plus $4.00 postage. By Charles Eckhardt and Robert MacAvoy. A full alphabetical listing of over 40,000 burials from over 1,000 cemeteries. Each entry lists soldier name and cemetery, death date, and regiment/ship if known. 1,700 pages in two volumes, hardbound. Price $140 plus $8 postage. New Jersey residents please add $9.80 sales tax. Published August 2006. This is a limited edition. ISBN 0944413706.